Traveler Reviews for Private Tour in Saint Petersburg, Sankt-Peterburg, Russia by Tour Guide Alexander S.
About Alexander S. Message Alexander S.
This 1-day VISA-FREE tour is customized specially for cruise ship passengers! TOUR GUIDE RESPONSE: Thanks for high rating of my tour, Keith! 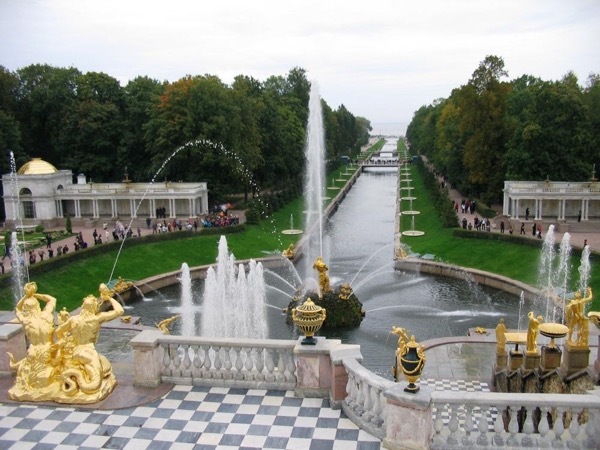 I was happy to show you around our beautiful city and Peterhof. Enjoy your time in St Petersburg! TOUR GUIDE RESPONSE: Thank you very much for high rating of my tour, Shauna! TOUR GUIDE RESPONSE: Thank you very much Sriram! I enjoyed all three days to spend with you and your family! TOUR GUIDE RESPONSE: Thank you very much Ahmed! I was really happy to spend this great day with you in Peterhof!!! We appreciate Alexander sharing the history of his country and the food and sights he introduced us to. TOUR GUIDE RESPONSE: Thank you very much Craig! I enjoyed to spend these two days with you too! Another excellent day. On our request, Alexander added a visit to a railway which wasn't on the original itinerary. Still managed to do most of what the original tour included, despite having a few hiccups re public transport. Along the way, we passed a tramline which we could have done on our own on our free day had we known. We felt Alexander might have suggested this as he was aware that we were interested in trams. Alexander is very ernest and takes his job very seriously. TOUR GUIDE RESPONSE: Thank you very much for your response, Lorraine. If I knew you were such big tram fans, we could probably use only this kind of public transport getting around the city! :) I'm sorry, but there is no tramline to Peterhof and one can get there only by private car, bus or hydrofoil.